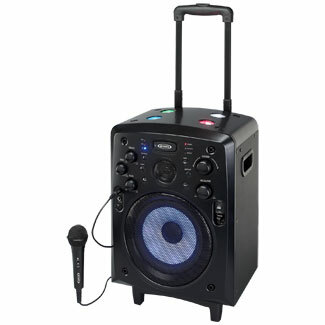 Enjoy your music wherever you go with the JENSEN® SMPS-900 portable Bluetooth® tailgate/trolley speaker. The built-in wheels and collapsible handle makes it easy to take around with you, so it’s perfect for outdoor parties, tailgating at a sporting event or when you’re just sitting in the backyard. 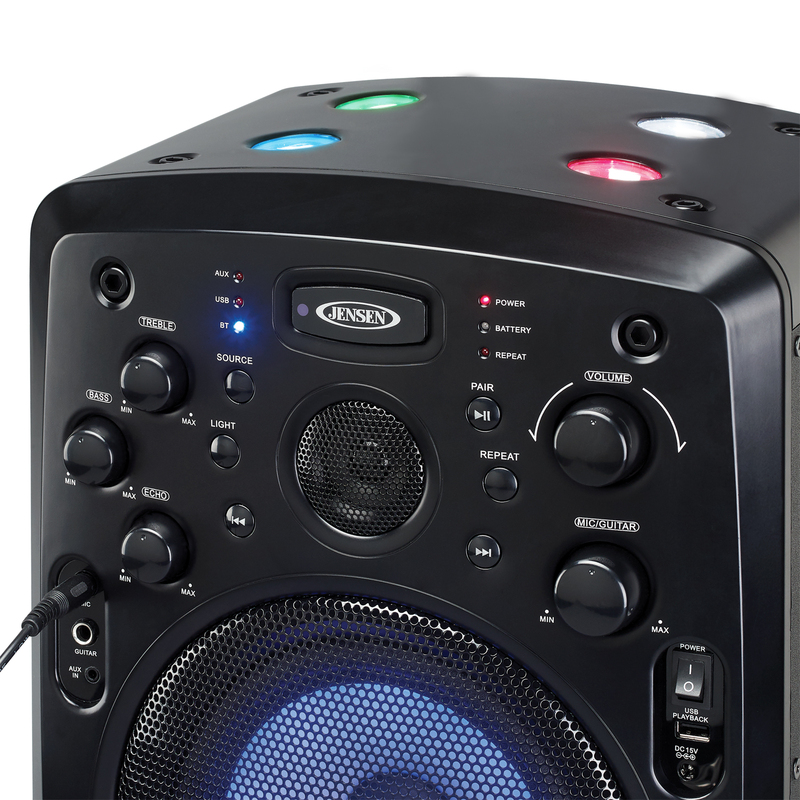 The top mounted flashing LED lights and the pulsing lights in the speaker helps draw attention and gets the party started. This great sounding speaker delivers 15 Watts (RMS) of output power, and operates on the built-in rechargeable battery or with the included AC adaptor. 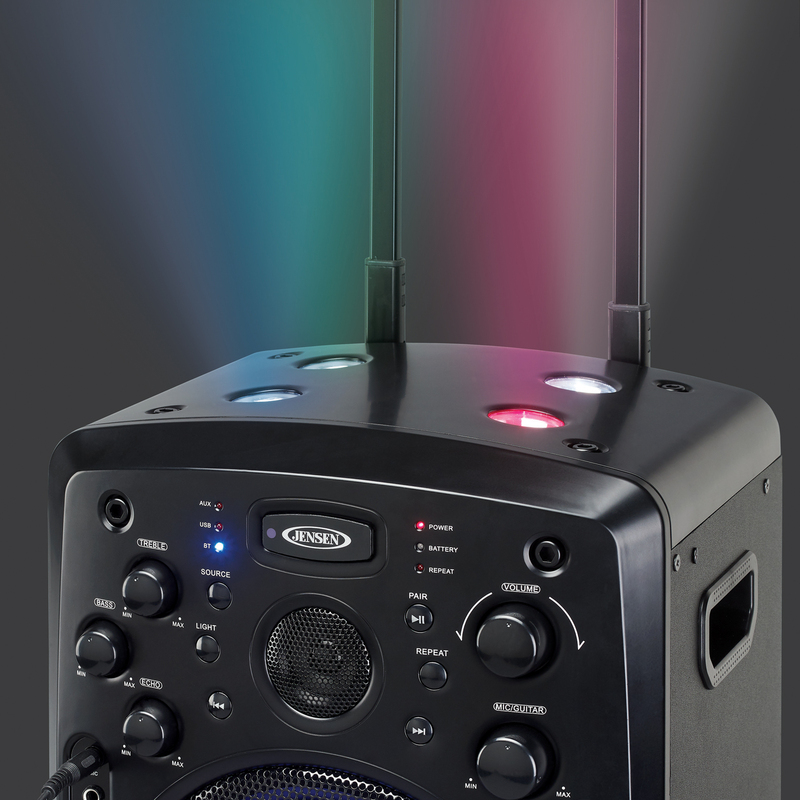 The SMPS-900 features three ways to play your music; play MP3 files directly from a flash drive using the USB port, stream wirelessly via Bluetooth or plug into the auxiliary line-in. Separate microphone and guitar inputs give you the option to sing along with the included microphone, or plug in your guitar to play along. Keep the music playing all night long with the Jensen SMPS-900.